Libra suspected it all along and is not surprised to be voted out of the “Big Brother 10” house.After being nominated for eviction by Head of Household Michelle, Libra was the fifth Houseguest evicted last night from the BIG BROTHER 10 house by a unanimous vote of 6 to 0. Libra will be the first Houseguest to be sequestered in the jury house. 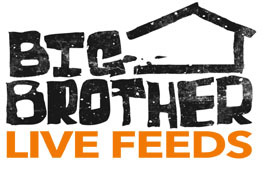 On Sunday, Libra and Keesha were nominated for eviction. On Tuesday, Jerry won the Power of Veto and chose not to use it, keeping the original two nominees on the block. During last night’s live broadcast, Libra, a 32-year-old human resources representative from Spring, Texas, learned her fate and left the House. After leaving BIG BROTHER 10, Libra was interviewed by Julie Chen about her experience. After last night’s eviction, the Houseguests competed for Head of Household in a competition called “Diary Room Confessions.” In it, Julie repeated statements made by previously evicted Houseguests in the diary room throughout this season of BIG BROTHER. The current Houseguests then had to identify who made the statement. Renny had the most correct answers and was named this week’s HOH.